Brings together quality music, animations, games, and more to help teachers deliver inspiring general music instruction. The latest in adaptive instruction, gamification, and digital project-based learning. Connect your students to strong literacy foundations, inspiring literature, and the world around them. Being a test administrator for WorkKeys® requires that you have an active understanding of our testing policies and procedures. Focuses on the elements and principles of art, art media, art history, and art criticism. Research-proven, teacher-led math intervention program helping math-challenged learners achieve success. WorkKeys assessments are considered high stakes, so all members of the testing staff are required to complete a training program in preparation for test center operations. Delivers user-friendly, step-by- step instructions for studio projects, including supplemental resources and self-assessment. Adaptive software that delivers personalized learning paths based on what students are ready to learn. 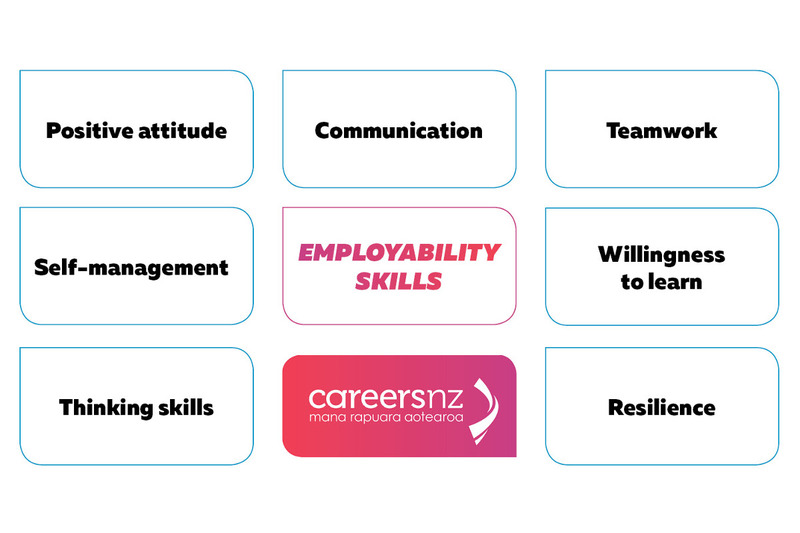 Instead, they measure a range of hard and soft skills relevant to any occupation, at any level, and across industries. They are offered in both English and Spanish. Develop math skills through explicit, systematic instruction with Connecting Math Concepts and more. From charts to graphs, diagrams to floor plans, identifying what information is being presented and understanding how to use it are critical to success. For example, at Level 5, individuals need the skills from Levels 3, 4, and 5. Provides evidence-based reading intervention to lift comprehension and fluency for struggling students. Develop confident, strong musicians from day one with an inspiring program designed to help students truly enjoy choral singing. 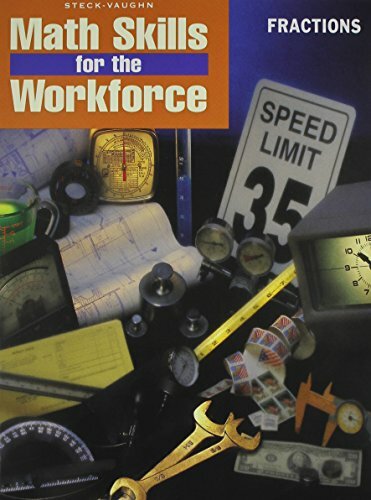 Assessments are web-based and most take one hour. . Instruction focuses on skills employers most commonly require from their employee as defined by the Department of Labor workplace competency models. The assessments measure foundational skills required for success in the workplace, and help measure the workplace skills that can affect job performance. Engaging media-rich social studies supplement to build critical thinking, writing, and research skills. 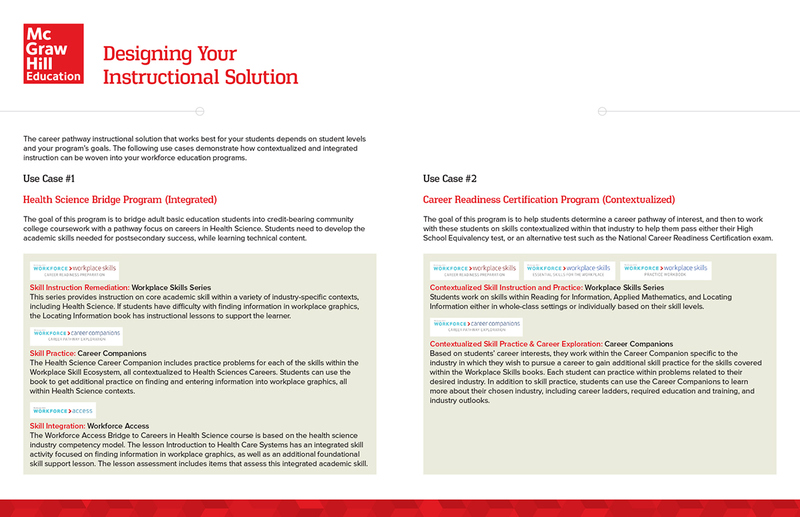 Provides extra practice of core workplace skills to supplement any College and Career Readiness Standards-aligned, workplace-contextualized academic and essential skills instruction or can serve as stand-alone materials for practicing these skills. While individuals may use calculators and conversion tables to help with the problems on the assessment, math skills are still needed to think them through. Uses the highly explicit, systematic Direct Instruction approach to accelerate reading for striving learners. Research-based, research-proven instruction that gives all children the opportunity to succeed. Learning solution that maximizes every moment for all students to progress toward high-level achievements. Delivers teacher-directed, intensive instruction to develop conceptual understanding and problem solving. Powerful and flexible standards-based curriculum to spark inquiry and ensure social studies mastery. 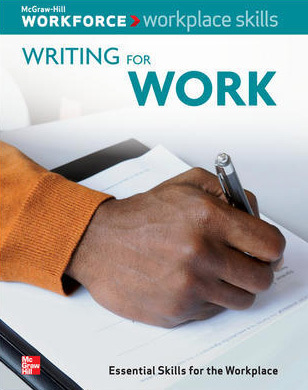 Combine academic and essential skills instruction within workplace contexts to guide adult learners on a path to a living wage and a sustainable career path. Each assessment offers varying levels of difficulty. The Workplace Documents assessment measures the skills people use when they read and use written text such as memos, letters, directions, signs, notices, bulletins, policies, and regulations on the job. The levels build on each other, incorporating the skills assessed at the previous levels. Explicit, systematic, research-based instruction ensures active learning by all students. Build literacy skills for students of all ages with Reading Mastery, Corrective Reading, and more. Reveal the full potential in every student with powerful explorations and rich mathematical discourse. Explore music from a sociological perspective and take your students on a journey tracing the history and influence of music. The Graphic Literacy assessment measures the skill needed to locate, synthesize, and use information from workplace graphics. Provides supplemental, hands-on and game-based resources to scaffold instruction and increase math proficiency. . . . .